Stripes have to be chosen carefully, make sure you're sporting them the right way! Vertical for business.Rugby and polo shirts often use horizontal stripes, but in business clothing, vertical stripes are more appropriate. Thin is in. While not all stripes need be pinstripe width, choosing thin stripes over thick, blocky stripes will generally look more refined. Variation works. Your stripes need not be uniform in either color or width. A shirt or tie with a variety of multi-width and multi-colored stripes can be quite pleasing to the eye. Combinations matter. If you're creating an attention-drawing outfit, colors that sit opposite each other on a color wheel are highly effective. If you're crafting an elegant business ensemble, your colors should be closer to each other on the wheel. Subtlety in a pin. 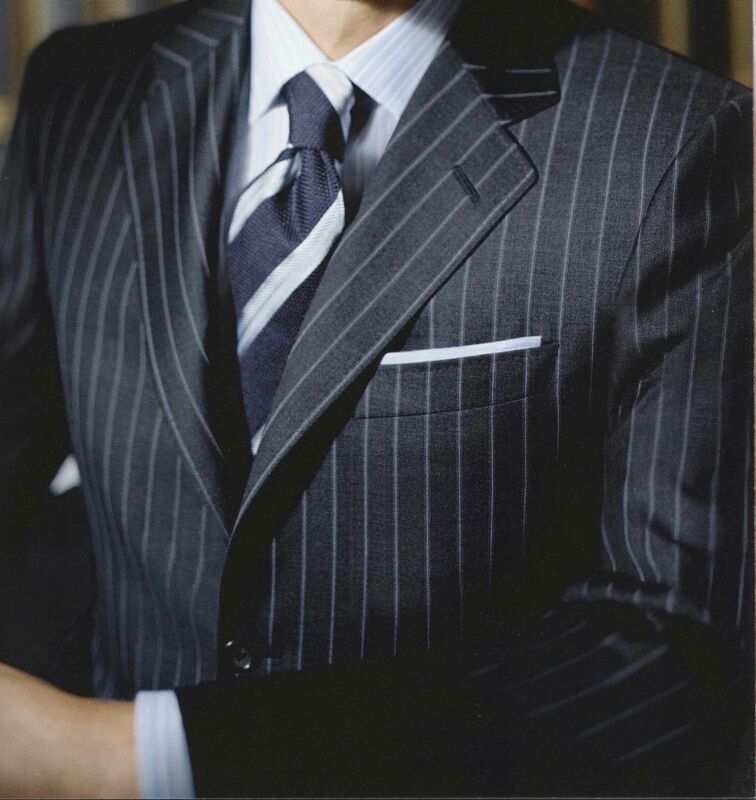 Your pinstriped suit is an excellent way to incorporate the visual interest of stripes without overwhelming an outfit. The sock question. Use the same guidelines-vertical, thin, multi-width, multi-tone stripes-when choosing socks, and you'll be able to safely go beyond the standard solid black or brown socks.